Bathroom remodels are taking over the world! Ok, not the world, but bathroom remodels are taking over the year. 2016 is going to be a big year for bathrooms that will dominate the remodel game. The number one trend in bathroom remodels will be; Personalization. The main reason for a homeowner to remodel their bathroom during 2016 will be to fit the room to their lifestyle and tailor to the needs of each family member. Kitchen remodels are taking a back seat this year. - Modernize your bathroom with wall tile and subway tiles. Subway tiles have yet to go out of style, and this year slate gray, winter white, and cobalt blue color schemes are in trend. Wall tiles may be a great way to create a focal point with a patterned tile or design. - Add a Walk in shower with frameless glass enclosures, and free standing tub to be ahead of the trends. This will add a spa like feature, and create more of a relaxing atmosphere. - Turn to Zen inspired designs for that extra relaxing feel. Heated rocks, calming water features and indoor plants can add to this design. Now you cannot skip out on Technology for your bathroom this year. On the level above water resistant sound systems, bathrooms are being equipped with self-cleaning toilets, and a new product from Kohler. Kohler has raised the bar this time, and developed a touchscreen Digital Showering System that is based on real life hydrotherapies. This DTV Digital Showering System has 6 user presets to help save your favored experience. What is the best part? We can’t decide if the temperature controlled settings, lights set to music, or hydrotherapy is our favorite. Best bet is to get this new technology installed in your bathroom remodel and let us know what your favorite feature is. 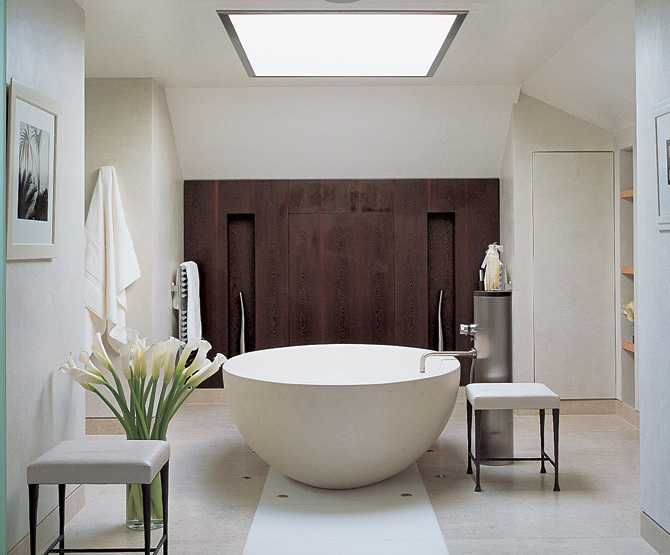 Check back for more on bathroom remodeling and other great remodeling tips.